Angels for You: Zinnias Growing in Outer Space! Zinnias Growing in Outer Space! Imagine flowers orbiting the Earth! 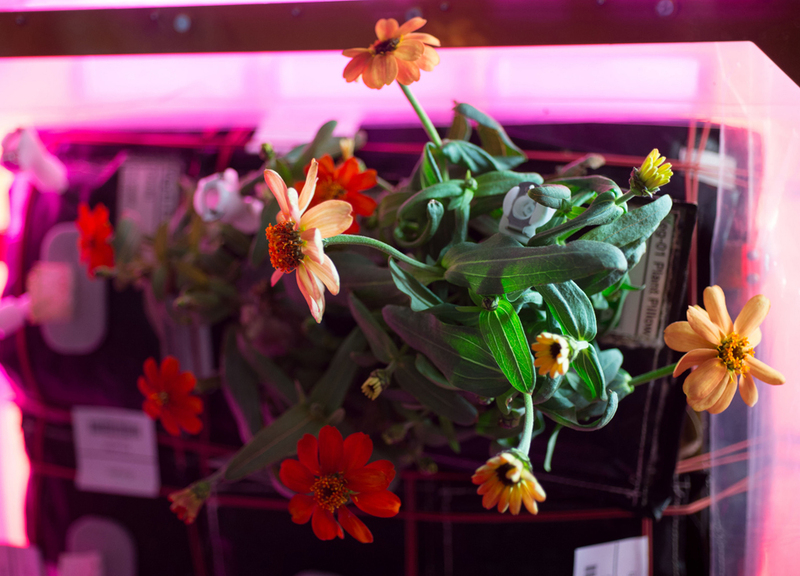 These zinnias are part of the Veggie System, an experiment in growing plants in micro-gravity aboard the International Space Station. These cheerful bloomers began from seeds in "pillows" in November 2015. Maintain childlike sense of humor; have courage. "The beauty of the world is about to be rediscovered." Enjoy your day with the Angels!